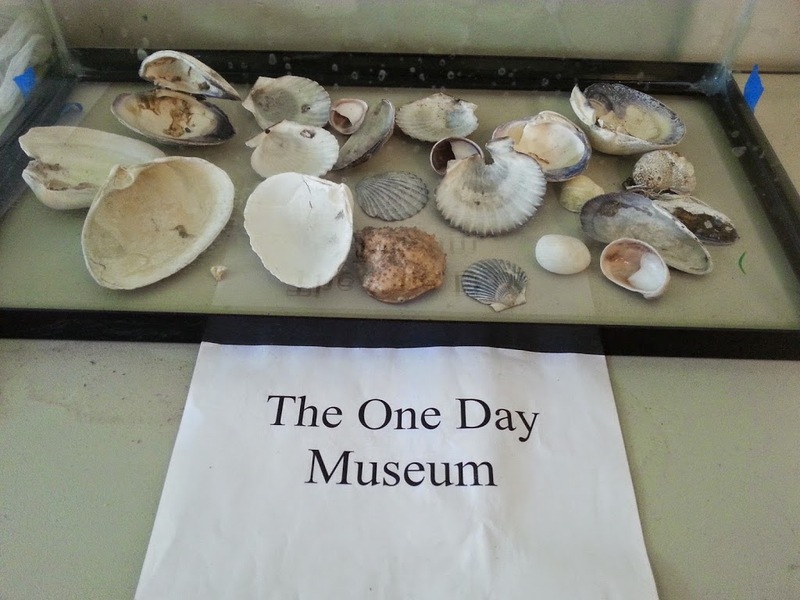 The One Day Museum was an impromptu idea that has hung on for the long haul through May and will be around through the end of the school year and into summer day camp. I have been pleasantly surprised at the interest and enthusiasm the One Day Museum has created with students. The set up is simple, an old aquarium turned upside down on a side table holds an item for a day. Sometimes we have a worksheet to go along with it. There are days when someone just answers questions about the item. I love days when we leave it to the kids to talk about the item and see what they think. We have a monthly theme at our program for the students lessons and activities to revolve around, the museum item may or may not correlate to the theme. 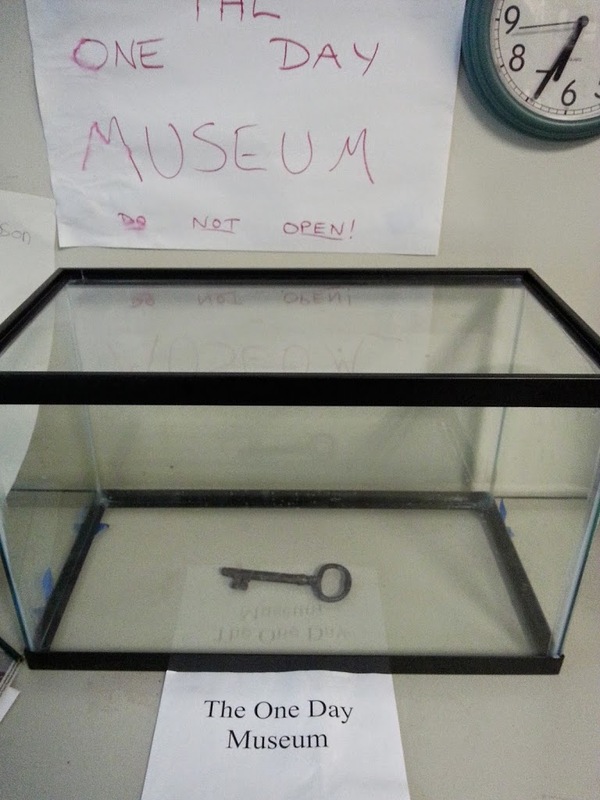 In this photo the museum holds an antique key. There was a lot of discussion about locks and size comparison to present day locks. Then when told the key was handmade and each was a bit unique the conversations tool a turn. I am happy when the children engage in one on one conversations and small group discussions ( informal) over the item in the museum. Like all museums they appeal to different clientele. Some items appeal to our 1-3 grade kids, some really get the 7th and 8th grade students interested. We have had a taxidermy duck, tools, model airplanes for flight month, live pollywogs, fossils and so many more items. The day the One Day Museum hosted seashells we had so many questions about the different shells. We talked about the sea, ocean ecology, the different types of shells the shell purpose and the make up of the shells. We talked about Native Americans and Pilgrims using shell fish and about the catching and cooking of different shellfish. The glass enclosure protects out Museum exhibit from too many fingers but it also teaches the students that some things in museums are only to look at not to touch. We are learning everyday with our One Day Museum and hope other schools and after – school programs will enjoy this idea and try it, please feel free to reply what item you might put in a one day museum.